A unique experience and a totally different way to enjoy the beautiful countryside – book a Llama experience or trek. Llamas are very friendly with amazing personalities! 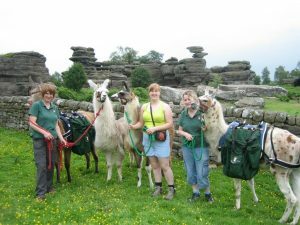 Opening times: All activities must be booked in advance – please contact Nidderdale Llamas in advance to avoid any disappointment. Note not suitable for children under 7 years old.